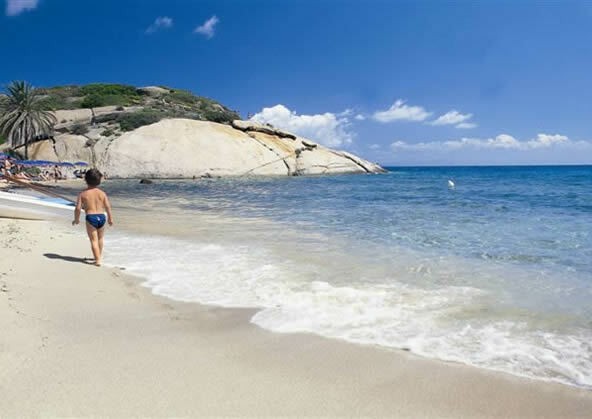 Giglio Island beaches: useful guide to the beaches in Giglio Island. 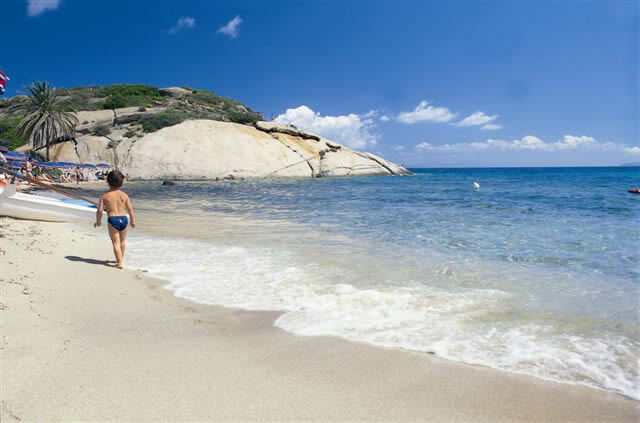 The coast of Giglio Island offers a large variety of beaches, very different from one other and all of them beautiful. Campese beach is the largest beach of the island. On the south there is the picturesque cliff, on the northern tip the ancient tower. A unique feature of this beach is the reddish color of the sand. Campese beach is an ideal spot to watch the sunset. The beache are well equipped with coffee and restaurants. Cannelle beach is the second largest beach of the island. It is located on the side that "looks" Argentario. It can be reached by a walk of about 20 minutes from the port, or by taxi, or by sea calling the taxi-boats. Here the sand is more grainy and of a bright white color. The beach are well equipped with coffee and restaurants. The Caldane beach is located just south of Cannelle, you can reach by taxi-boats, or walking along a path not too hard but overlooking the sea and therefore absolutely not recommended for children. It is a wonderful small beach, always quiet, ideal place to relax for. Arenella beach is located on the coast overlooking the Argentario, to the north of the harbor. It can be reached by sea through the services of the boatmen, or by taxi. The beach is small and thin, a true natural gem for the position and granite sand with golden reflections. On Giglio Island there are other "Calette" very beautiful and picturesque, accessible by sea.